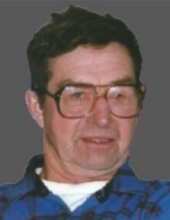 Glenn H. Kruse age 90 of Spring Green passed away on Wednesday, March 27, 2019 at The Meadows in Spring Green. He was born on March 19, 1929 near Leland, WI the son of Herman and Eva (Fenske) Kruse. Glenn attended the Little Prairie School and the Prairie du Sac High School. He was married on June 16, 1950 to the former Elsie Weller and together they raised 6 children. Glenn was a lifelong member of St. John’s Lutheran Church in Leland. After retirement he worked on the Pulvermacher farms, the Ithaca sales barn, and Luther farms. He enjoyed playing cards with the Irish Valley Boys and others. He also enjoyed square dancing. He is survived by his wife Elsie Kruse of 68 years, 5 children, Steven, Linda (LaVern) Schnor, Gary (Doris), Denise (Michael) Larson and Joel, a sister Delores Roehling, 14 grandchildren, Shannon (Jeremy Reber) Ruhland, Desiree Schnor, Heather (Vinod) Abichandani, Andy Kruse, Laura (Ben) Becker, Joel Kruse, Matt (Melanie) Kruse, Stephanie (Chuck) Bogart, Tim Kruse, Patrick (Meaghan) Larson, Miriam Kruse, Danielle (Josh) Jansen, Laura Kruse, Therese Kruse, 11 great grandchildren, special friends Ed and Mary, many nieces, nephews, and friends. He was preceded in death by his parents, daughter, Janice Kruse, a brother Bob, and a sister, Donna McNurlen. A memorial service will be held on Saturday, May 18, 2019 at 11:00 A.M. at St. John’s Lutheran Church in Leland. Pastor Erich Hartenberger will officiate with burial in the church cemetery. Visitation will be held on Saturday at the church from 9:30 A.M. until the time of service. Online condolences available at www.staffordfuneralhomes.com. The Richardson-Stafford Funeral Home in Spring Green is assisting the family with the arrangements. "Email Address" would like to share the life celebration of Glenn H. Kruse. Click on the "link" to go to share a favorite memory or leave a condolence message for the family.